The iconic overpass and entry into Rocinha. Unprecedented. 900 soldiers enter Rocinha. The Favela (Brasilian slum) of Rocinha is located in the breathtakingly beautiful and vibrant coastal city of Rio de Janeiro and it is the biggest and most famous Favela in Brasil. In fact Rocinha (the Rock) is actually the biggest Favela in the Latin Americas with possible population figures ranging from anywhere between 100,000 and 300,000 people jammed sardine like within this unforgiving valley. To understand life in the Favela one must first understand the economic situation and intense inequality that exists within Brasil. Statistics paint a damning picture of the Brasil's extreme income inequality. For instance, Brasil’s six richest men have the same wealth as the poorest 50% of the population while the country's richest 5% have the same income as 95% of the country....disturbingly mind blowing figures indeed. Despite Brasil's enormous economy the country exhibits some of the most extreme levels of income inequality in the modern world today. Over 10% of Brasil's population are currently living well below the poverty line. Favelas currently house over 6% of Brasil's population while the 1000 Favelas of Rio de Janeiro are home to well over 24% of the cities population. 1.5 million of Rio's residents know nothing more than the Favela life. Rocinha is unfortunately best known for it's violent and turbulent history and less than a decade ago it was an area that most non residents feared to tread. Rocinha holds key strategic importance in Rio's thriving drug trade. If you control Rocinha you control the entire South Zone of Rio, one of the wealthiest areas in Brasil and thus not surprisingly one of the lucrative markets for the narcotic trade. The rich pay the drug dealer but it is the poor who pay the real price. However, largely thanks to a Police led Pacification process in 2011 coupled with a gang truce relative stability and security was openly welcomed within this sprawling urban labyrinth in recent years. Picture perfect São Conrado as the sun sets behind towering and beautiful Gávea mountain peak. Despite the endless challenges and difficulties that the residents of Rocinha face on a daily basis many outsiders do not realise that this close community is actually in close proximity to some of the best high performance waves in Rio de Janeiro and is subsequently home to some of the best bodyboarding talent in the city if not Brasil. Located less than ten minutes walking distance from the chaotic streets of Rocinha, quietly nestled between the towering mountain peaks of Dos Irmãos (Two Brothers) and Gávea lies the beautiful beach of São Conrado. Praia São Conrado regularly dishes up some of the best high performance waves in the city in the form of powerful wedge peaks and slabbing barrels. Nineteen year old Gabriel Popó certainly knows how to tweak it, photo by Bruno Correia. Achievements: 30 titles between Regional and National. Gabriel boosting, photo by Marcello Farias. Flipping out in Rio, photo by Juan at Swell Uruguay. What do you feel about the recent outbreak of heavy violence in Rocinha? This violence in Rocinha where I live... I did not think it is cool. On the day of my Championship I almost did not go because I could not leave the house. The situation was very dangerous to go outside. So now I leave early to train. I'm afraid of something worse happening. I have many family members who live near an area of high risk and this worries me a lot. I pray to God to protect me and to protect my family! Gabriel rips regardless of the surfing craft, photo by Barbara Becker. Classic São Conrado backdoor peaks. Professional bodyboarder Erik Silvino boosting. Gavea backdrops. Photo by Minifotografoo. Achievements: 34 titles between Regional and National. Professional Athlete who came from Ceará to live in Rocinha. How do you find life in Rocinha? Defining it in a nutshell, it's a great blessing! I really love living in this wonderful community but of course the routine of a "favelado" is not easy. The Favela is great although it is tiring the journey from home to the beach. With little financial resources life can be complicated but to me everything is wonderful regardless of the sewage that ends at sea and the organized crime of the Favela. We live in difficult times but I hope in time everything will become more stable and safe. Erik pops one of the top. Photo by Afloat. Reversing, photo by Dangue Fotografias. Bodyboarding always brings a smile to your face. Flipping out in Rocinha. Photo by Afloat. Thoroughly shacked at São Conrado. Photo by Marcio Luiz. Pedro tweaking out on a ridicously huge boost. Spinning off the top. Photo by Marcello Farias. Achievements: 31 titles between Regional, National and Local. How do you find life in Rocinha? I think here in Rocinha, it is a good place to live but at the same time it is very insecure with so much violence that is happening from time to time. What do you feel about the recent outbreak of heavy violence in Rocinha? It is difficult to talk about Rocinha in times of war. We must be careful what we say for our own safety. Rocinha is a beautiful Favela full of potential athletes for sport. Slab city, São Conrado. Pedro loving life in Rio. Photo by Rafael Gomes. 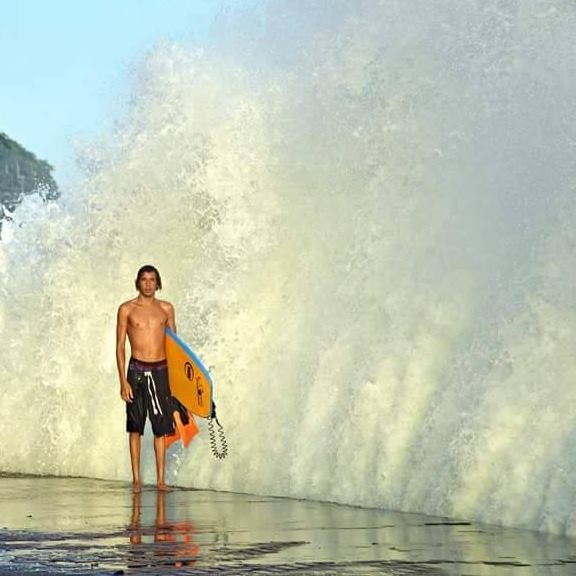 Thiago Silva one of Brasil's best young talents at just 15 years of age is surfing well beyond his years. Photo by Madeinsanca Producoes. Despite of the challenges asscioated with the Favela life Thiago is always full of smiles. Achievements: Quinto Colocado Stage Pro Junior, Itacoatiara Pro Junior Champion and 20 titles between Regional and Local. How do you find life in Rocinha? Life in Rocinha is a bit confused because of the clashes between rival gangsters or police. I doubt you will stumble across too many 15 year olds boosting like this kid. Photo by Dangue Fotografias. Thiago flying high, photo by Bruno Correia. Thiago, with a big result at the Itacoatiara Pro Junior this kid has a big future ahead of him, his potential is limitless. Photo by Leo Martins. Classic São Conrado, slabbing pits and beautiful backdrops. Alessandro Leroy loving the Favela life. How do you find life in Rocinha? Life in Rocinha is great. I live near the beach and I can be in the sea every day doing what I love. When things in the neighbourhood are not right then life is not so great. Regardless it is good to live here as it is close to everything. I can easily split my day between college, beach and work. What do you feel about the recent outbreak of heavy violence in Rocinha? I feel very sad, because living with this violence is very bad. People can not work. I have times that I have left home afraid of confrontations but things will improve. We cannot lose faith. Not only is Alessandro a great photographer he also surfs very, very well. Photo by Dalila Sawer Fotografias. 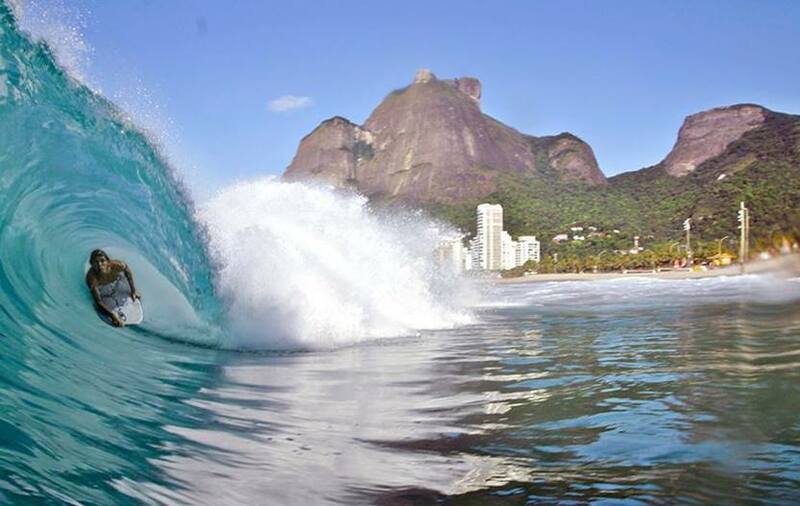 What is it like to be a bodyboarder in Rio de Janeiro? Being a bodyboarder in Rio and Brazil is very difficult. The country is very expensive with high taxes. Many great international bodyboarding brands struggle to enter the Brasilian market. It is difficult for them to be successful in Brasil. This creates a great problem for the state of the sport here as many potential athletes are without sponsorship and the financial support required to continue in the sport. Unfortunately in the case of Rocinha many then seek a life in crime as means to survive. São Conrado kegs. Photo by Minifotografoo. Rio a city of extremes. Minutes from one of the wealthiest suburbs in Rio lays one of the poorest in Rocinha.